Nearly three in 10 U.S. households now have exactly one person in them. But not all cities are created equal for those looking to find someone – whether to marry or just to be single together. With this in mind, Livability.com has named Ypsilanti a Top 10 Best City for Singles, 2015. Ypsilanti offers a high concentration of singles, lots of ways to meet new people, and plenty of options for that first, second or third date. When choosing the best cities for singles, our editors started by looking at places where there are plenty of singles to choose from, looking at the percentage of unmarried people, the percentage of the population in prime marriageable age (20 to 34), and places where large percentages are living alone – all Census data. Our friends at Esri then helped us find places where people are doing single-ish things. These cities tend to have higher-than-average rates of people who go to art galleries, bars, nightclubs and pool halls. They have more residents who are likely to dance, sing karaoke and go to romance movies. We subtracted points for places where people play a lot of computer games (Get out of the house, people.) and added points for people using dating sites and apps. Finally, our editors added in a couple of measures to find places that are good for everyone, like demographic diversity and cost of living. Ypsilanti is experiencing a surge of young, creative types, making it one of the best cities for singles, especially those who dig an artsy, small-town vibe. Singles far outnumber married people in Ypsilanti, and residents tend to use dating apps and online sites at a higher rate than most Americans. Ypsi’s primary entertainment districts – downtown and Depot Town – are filled with shops, restaurants, and bars, which make it easy to find places to meet new people or go on first dates. Newcomers often find it easier to break into the Ypsi dating scene by joining gyms, volunteering or attending club events like bike rides, fun runs and art events. (SCOTTSDALE, AZ) – BirdieBox – the leading provider of curated golf and lifestyle products – announces the launch of the “G-Mac Box,” a custom offering from Ryder Cup stalwart and former U.S. Open champion, Graeme McDowell. Including an assortment of collectable items preferred by McDowell, the boxes are available through BirdieBox.com at two price points ($149.99, $79.99), each boasting a total value nearly double the retail cost. Among the items included are a polo shirt by G-Mac by Kartel, Srixon Z-Star golf balls, a logoed glass from McDowell’s own GolfBeer Brewing Company, Srixon TOUR hat, stainless steel flask with built-in shot glass and Bluetooth earbuds. Available beginning the week of The Open and running through the 2015 Holiday season, the “G-Mac Box” may be purchased online for shipment throughout North America and Europe. The exterior of each box will arrive handsomely appointed with G-Mac imagery, logo and messaging. Among the scores of organizations and individuals who have turned to BirdieBox in the past include Major League Baseball, Under Armour, Els for Autism, Arizona Coyotes, Dallas Stars, National Kidney Foundation, Bob Uecker Classic, Cure NF with Jack, Celebrity Golf Classic with Kevin Nealon, TPC Scottsdale, Ready Golf and Zo’s Winter Groove for The Alonzo Mourning Foundation. Beyond the company’s event, charity and organization services, personal monthly subscriptions that remove the hassle from shopping and gift-giving are available at BirdieBox.com. Packages include a selection of the hottest golf, lifestyle and nutritional items from major brands. Offered in one-, three-, six- and 12-month options, subscriptions start at $49.95 per month while retail value of each delivery is $100 or more. More information: www.BirdieBox.com. Get social: @BirdieBox. Launched in January 2014, BirdieBox is an eCommerce platform with three core focuses. These include a monthly subscription service delivering a curated box of premium golf and lifestyle gear every month, a specialty box service commemorating major champions and holidays, and BirdieBox Events, a new and hassle-free way to source unforgettable tee-gifts for corporate, charity or country club outings and tournaments. The highly trained staff work closely with event organizers to create a truly unforgettable package. 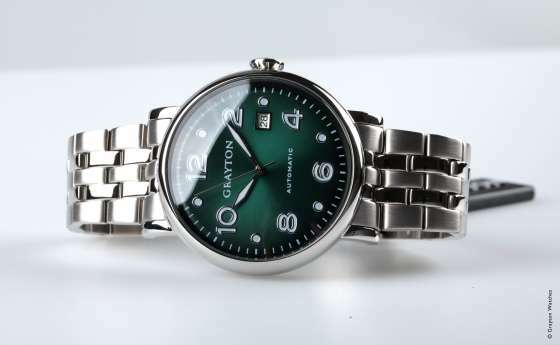 Adorned with a logo of the customer’s choice, each finely-appointed, custom-curated assortment is hand-selected to match designated preferences and impress guests. The company is devoted to ensuring a positive and fun customer experience. County Clare, Ireland (March 3, 2015) – If you haven’t been cheering on the dollar yet, now is the time. Thanks to a strong dollar, the joining fee at Trump International Golf Links & Hotel, Doonbeg on the coast of County Clare, Ireland, is the best deal in the game: International Membership is now available from $16,800* for a family membership, which include a spouse, and children up to age 25. The annual dues for this iconic club are a mere $3,600* annually. When guests become a member of Trump International Golf Links, Doonbeg, they will also gain access the 17 other golf courses within the Trump Golf portfolio worldwide. Each of these courses, from Trump National in Bedminster, New Jersey, to Trump Golf Links in Ferry Point, New York, are truly spectacular. Membership also offers exclusivity to guests on a whole other level. Members are treated to a world class links golf course, with 5-star accommodations in one of the most beautiful destinations, on Ireland’s wonderfully rugged south west coast. Direct flights from many US cities, ensure members can fly over on a Friday evening and be on the first tee Saturday morning, with a pint of Guinness in hand. Trump International Golf Links, Doonbeg was opened in 2001, with the spectacular par-72 layout which plays over 7,000 yards from the championship tees. Changes in wind speed and direction off the Atlantic Ocean mean the course plays differently almost every day. In February 2014, the club was purchased by Mr. Donald Trump. He immediately set out a plan for significant improvements to the course, with a vision to deliver a golf experience unparalleled in Ireland. To realize his vision, he enlisted one of the most highly rated Golf Links architects in the world, Dr. Martin Hawtree, to re-design the course. Since October 2014, the course has undergone major renovations which will completely change many holes and establish Trump International Golf Links, Doonbeg, as one of the truly great Links Golf Courses. The renovations will soon be complete for an official re-launch in June 2015 in advance of The Great Irish Links Challenge tournament (also in June). Away from the golf course, there is so much more for guests to enjoy. The property is the only Links Golf Course in Ireland which boasts a 5-star hotel as well. Trump International Golf Links & Hotel, Doonbeg has the inviting ambiance of a country manor home overlooking Doughmore Bay. Each of the hotel’s rooms and guest suites are individually designed with hand-selected antiques, reclaimed woods and bespoke furnishings and fabrics. With fine dining by Executive Head ChefGreg Budzyn, who spends his time creating dishes which infuse international flavors with locally sourced ingredients, to the White Horses Spa, a world-class sanctuary of wellness and rejuvenation designed by internationally recognized Irish-born designer Clodagh O’ Kennedy, there is something for everyone at Trump International Golf Links & Hotel, Doonbeg. Also on Doonbeg’s doorstep lies an extensive array of activities from horseback riding to rock climbing, deep sea fishing to dolphin watching and more. Some of Ireland’s most popular attractions include The Cliffs of Moher, The Burren, Ailwee Cave and The Aran Islands, all of which are located close to the hotel. A dedicated concierge assists all members with travel planning needs and exclusive privileges beyond. Trump International Golf Links & Hotel, Doonbeg encapsulates an extraordinary experience where no two visits are the same, ensuring travelers will want to come back again and again. With every detail carefully considered, the standard of accommodation at Trump International Golf Links & Hotel, Doonbeg is unprecedented, offering a distinct departure from generic hotel offerings and raising a new benchmark for the discerning guest. Set along the Atlantic shores in County Clare, Trump International Golf Links & Hotel, Doonbeg is the only 5-star luxury coastal resort in western Ireland. The 400-acre property features 205 guest rooms and suites as well as a magnificent Greg Norman-designed championship links course and distinct dining by Tom Colicchio, Consulting Chef of the Lodge. The White Horses Spa, a sanctuary of wellness and rejuvenation designed by Clodagh, incorporates the essence of Ireland into all treatments, with skincare products by Kerstin Florian. Trump International Golf Links & Hotel, Ireland is a member of Small Luxury Hotels. (SILVER SPRING, Md.) – PHIT America – the non-profit education and advocacy organization designed to combat the nation’s inactivity and obesity crisis – announces Gary Player, one of the greatest players in golf history, as a celebrity ambassador. Winner of 165 tournaments, including nine Major Championships, Player achieved legendary status as one of only five golfers in history to claim a career Grand Slam winning the Masters Tournament (1961, 1974, 1978), U.S. Open (1965), The Open Championship (1959, 1968, 1974) and PGA Championship (1962, 1972). Additionally, Player is the only golfer in history to achieve the Grand Slam on the Senior Tour. He credits his success on the course to the stringent exercise regimen maintained throughout his career. As a father of six and grandfather of 22, Player’s desire to instill the importance of an active lifestyle, especially in children, aligns with the message of PHIT America. Participation in youth sports is a way to get fit while also building self-confidence and developing skills such as discipline and dedication to setting and achieving goals. Player joins an all-star roster of celebrity ambassadors including NFL icon Herschel Walker and Golf Channel instructor Michael Breed. Each PHIT America ambassador is selected due to a common vision. The collective goal is to create “A Movement for a Fit and Healthy America” by educating men, women and children about the importance of an active lifestyle to improve overall health. Since its January 2013 launch, more than 150 leading companies and associations from the sports, fitness, retail and media industries have contributed funds and services to support PHIT America. The organization supports two pieces of legislation crucial to increasing the number of healthy Americans. When passed, the Personal Health Investment Today Act (PHIT) will allow people to use pre-tax medical accounts for physical activity expenses. The Physical Education Program (PEP) is a 14-year Federal grant from the Department of Education for schools to rebuild and revolutionize fitness programs. Americans are encouraged to support PHIT America by visiting http://www.PHITAmerica.org to advocate, provide a donation or participate in health and wellness programs. Founded in January 2013, PHIT America is a non-profit educational, social media, and advocacy campaign focused on overcoming the inactivity pandemic and obesity crisis in America by creating a “Movement for a Fit & Healthy America.” Over 130 companies along with sports ambassadors and celebrities are helping PHIT America to get more Americans more active, fit and healthier. A few of the major PHIT America initiatives include passing key legislation. The Personal Health Investment Today Act (PHIT) will allow Americans will be able to use pre-tax medical accounts for physical activity expenses. The Physical Education Program (PEP) is a 14-year program supporting increased activity in local physical education programs throughout America. Both the PHIT Act and PEP Program will help mitigate rising healthcare costs by encouraging Americans to develop more active, healthy lifestyles. PHIT America also just launched the Mayors Fitness Challenge a new, fun 10-week campaign in local cities around the U.S. designed to encourage active lifestyles through group exercise sessions, educational programs and community engagement. For more information about PHIT America, visit PHITAmerica.org. For more information about Gary Player, visit http://www.garyplayer.com. (PINEHURST, NC) – Slammin’ Sam Beer Company announces The Homestead Resort and Sam Snead’s Tavern in Hot Springs, VA, have joined the growing list of fine establishments serving Slammin’ Sam™, a craft-brewed premium American lager inspired by the late Sam Snead, one of golf’s greatest gentlemen and champions. Initially launched in early July at The Greenbrier Resort coinciding with the centennial of Snead’s birth, Slammin’ Sam is currently available in bottles and cans depicting vintage Snead images from the 1950s and 60s. A thirst-quenching premium lager geared toward active lifestyle consumers, Slammin’ Sam features an exceptionally balanced finish that makes it the Smoothest Beer in Golf. Made in Wisconsin by Stevens Point Brewery – a World Beer Cup multiple Gold Medal award winner – Slammin’ Sam showcases a proprietary recipe developed by Ray Klimovitz, recipient of the 2011 Distinguished Life Service Award from the Master Brewers Association of the Americas. It will soon be offered at renowned resorts throughout North America, as well as golf courses, restaurants, bars and other locations. Possessor of a prodigious, self-taught swing, Snead captured seven major championships and an all-time record 82 PGA Tour titles during a professional career spanning six decades. A player on seven and captain of three U.S. Ryder Cup teams, his countless honors include winning PGA Player of the Year (1949) and the Vardon Trophy (1938, 49, 50 and 55). Snead, who passed away in 2002 at age 89, is also a member of the West Virginia Golf Hall of Fame and World Golf Hall of Fame. For more information: http://www.facebook.com/SlamminSamBeerCompany or @SlamminSamBeer. Developed using a proprietary recipe developed by Ray Klimovitz, recipient of the 2011 Distinguished Life Service Award from the Master Brewers Association of the Americas, Slammin’ Sam is produced by the industry’s most respected contract breweries. Initially available at The Greenbrier Resort – which Snead called his professional home for more than 60 years – Slammin’ Sam will also be offered at other renowned resorts, as well as golf courses, restaurants, bars and everywhere beer is sold. Targeting golfers and all active lifestyle consumers, Slammin’ Sam is sold in cans, bottles, and kegs. The line’s packaging and marketing depict famous images of Snead from the 1950s and 60s. Orinda, California (February 1, 2012) Brian Lamborn of Outdoor Wine Adventures recently announced the selection of Bandon Dunes Golf Resort in Bandon, OR to host the first annual Wine on the Links event. Outdoor Wine Adventures is best known for their successful Wine on the Fly events for fly-fishing. Brian Lamborn, also of third generation winery Lamborn Family Vineyards, has orchestrated a representation of wines from three outstanding boutique wineries. Including his family’s winery, his three choices are the elite Napa Valley wineries of Bourassa Vineyards, Hendry Ranch Winery, and Lamborn Family Vineyards. Bourassa Vineyards devotes much of the winery’s attention to the five Bordeaux varietals, each painstakingly hand-crafted in small lots. Proprietor Vic Bourassa will be on hand pouring and describing many of these gems. Hendry is a Napa winery rich in history and produces wines of even greater opulence. Mike Hendry will be at the event pouring his wines and sharing his knowledge. 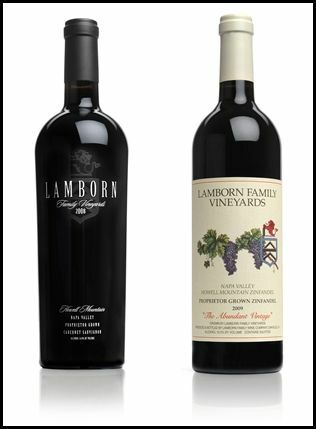 Lamborn Family Vineyards produces just 1,600 cases a year of rich Howell Mountain Cabernet and Zinfandel, all crafted by cult “celebrity” winemaker Heidi Barrett of Screaming Eagle fame. Brian Lamborn loves sharing his family wines and passion for them, and looks forward to doing so at Wine on the Links. Several thousands of dollars worth of wines will be poured over the course of the event. Accommodations will be at the Bandon Dunes Golf Resort in Bandon, Oregon. 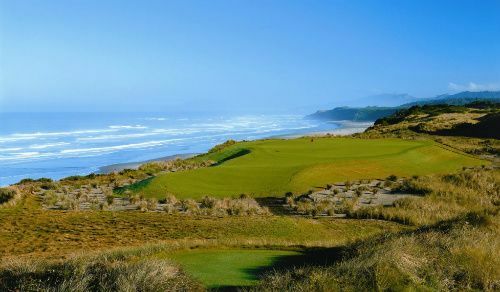 Bandon Dunes is a golf lover’s dream come true with four distinctly different courses, all of which consistently place in the Top 25 of Golf Magazine’s Top 100 courses. The cost of the trip is $4,750 based on double occupancy and includes: four nights’ lodging, four rounds of golf as well as a round on the new Par 3, all meals, four evening winery dinners, all wines, gratuities, and much more. Reservations are limited to just 20 participants on a first come/first serve basis. To learn more about this rare opportunity, please visit http://www.wineonthelinks.com, or call (877) 778-5663.